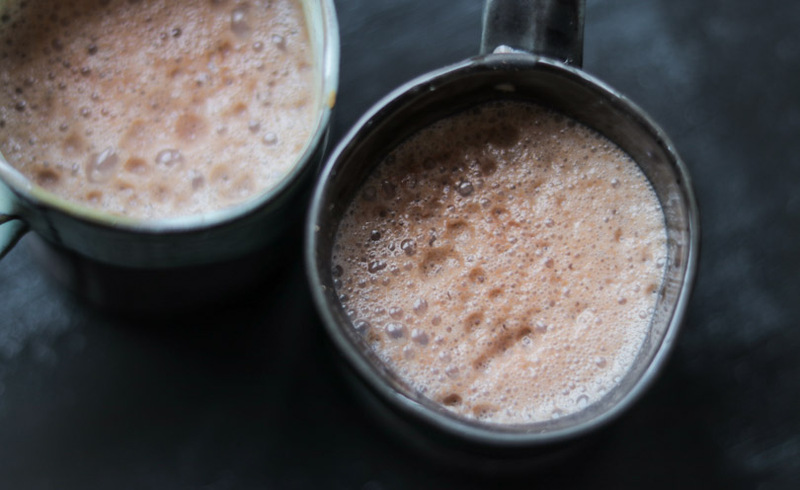 Special, plant-based hot cocoa in a Vitamix. 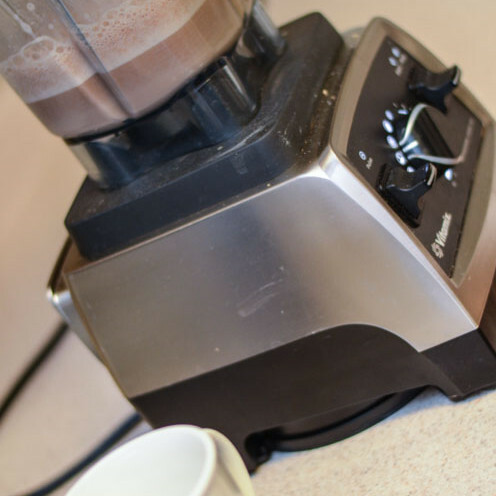 Add ingredients to your Vitamix. If you don’t have any raspberries, make it like we did at summer camp. We used a raspberry tea bag. Certainly raspberries (fresh or frozen) are best if you can. But in a pinch? Oh yeah. Delicious. 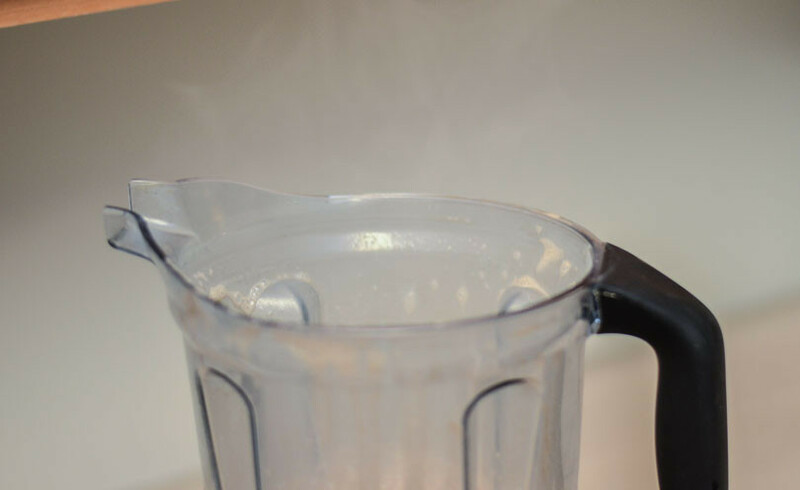 Just don’t put the tea bag in your Vitamix! Warning: Contents are very hot. Watch your face for the steam! 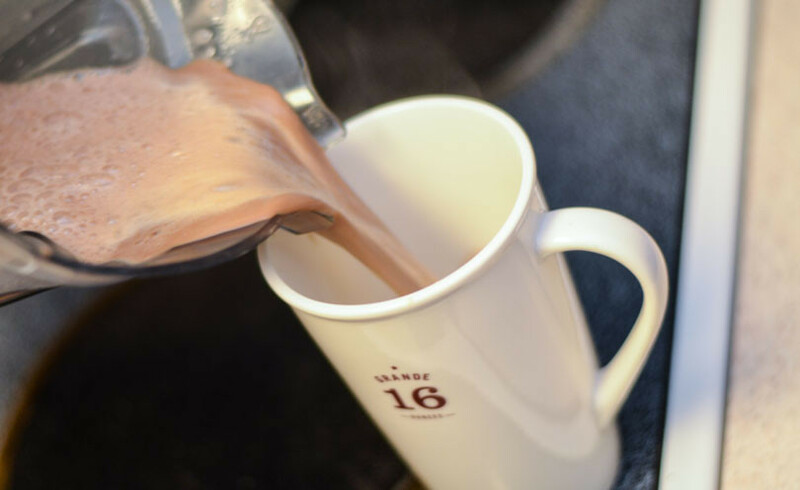 Something about a tall white mug makes hot cocoa taste better. That, and enjoying it under a warm blanket. 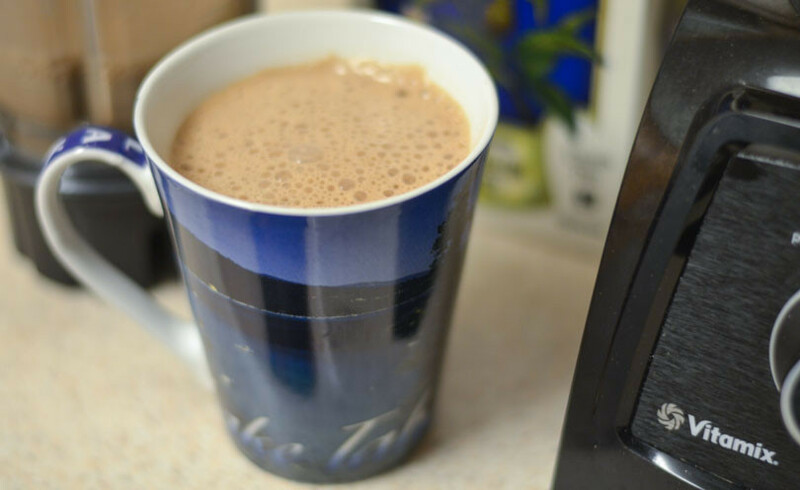 The Vitamix S30 I was testing successfully made this drink piping hot.